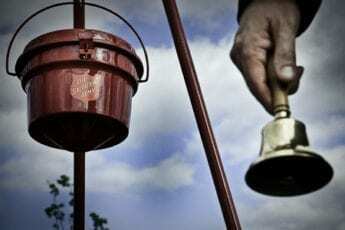 The Salvation Army is preparing to kickoff red kettle season, and the organization needs a few good bell ringers. The army’s Elizabeth City unit is looking for volunteers to ring bells and work kettles this holiday season at Food Lion stores, Walmart, Kmart and Harris Teeter on the Outer Banks. Money raised from bell ringing helps purchase toys and other items for the area’s less fortunate. 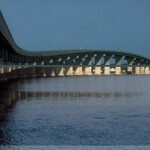 The funds are also used year-round to help families suffering hardships to pay expenses. Officer Richard Stone, Dare County’s coordinator, is trying to build a network of volunteer bell ringers, but will also be hiring some for paid positions. Bell ringing starts first at the Food Lion stores in Southern Shores, Kill Devil Hills and Nags Head Bell the weekend of Nov. 16, and continues through Dec. 23. Different locations have agreed to different start and finish dates, but overall, the bell ringers will be working Tuesday through Saturday at most locations. Typical assignments are two hours at a time, and many individuals sign up for more than one bell-ringing session. Clubs, churches, employers, neighborhoods and other groups are encouraged to commit to cover some bell-ringing slots. Anyone interested is asked to call the Salvation Army at 252-722-3085.